It’s another rigidly gender-specific toy, again – that BOY-only thing going on. But what can one say? Those were the times – a century’s distance from where we are today. I had a train set as a boy, which mostly just went round and round once you snapped the track together. It needed considerable imagination and lying flat on the floor with your eyes as close to the tracks as possible to bring it to life. 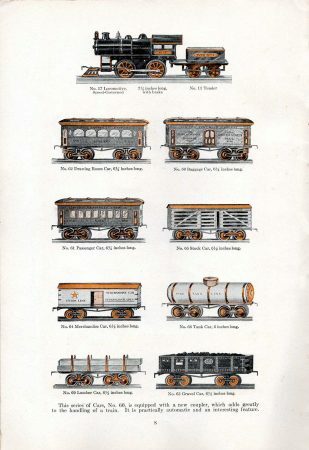 In 1912 trains were a lot more relevant to daily existence, and growing up to be an engineer was something a lot of boys aspired to – either that or being a fireman or an indian. Ives started making toys in the 1860s, producing some of the earliest “modern” toy trains (which ran on tracks, not the floor) in 1901. But they didn’t start making electric trains until about 1910, because electricity still wasn’t in every home. 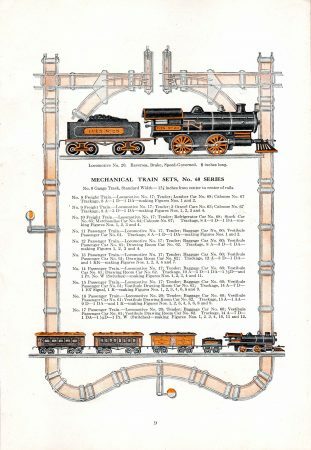 These 1912 pages feature mechanical clockwork engines and assorted cars, and the page layout designer has framed them inside railroad tracks for a nice graphic touch. 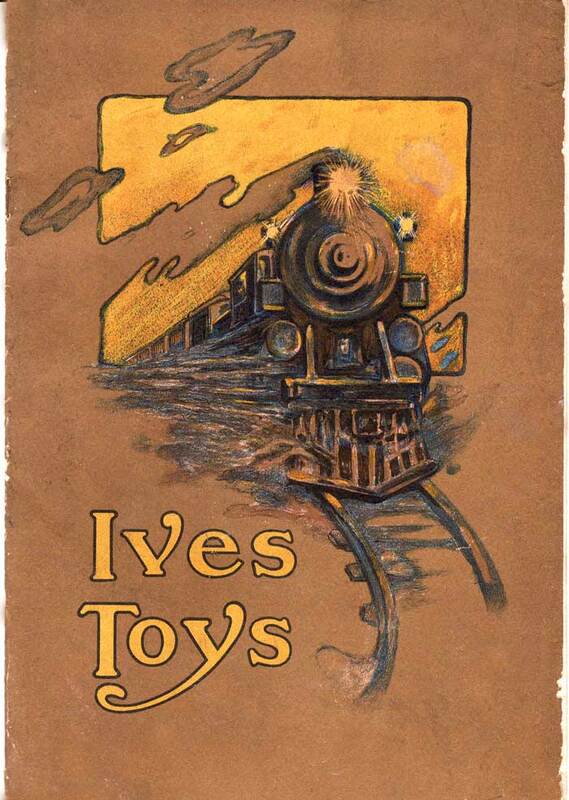 The train on the cover was not quite an accurate representation of the toys inside…unless you were under 12 years old and lying flat on the floor with your eyes as close to the tracks as possible.